California's hockey-sticked temperature outliers | Watts Up With That? Today’s WaPo story by Darryl Fears on California drought frequency in a warming world compelled me to take a look at the Golden State’s temperature history. In my 2011 book Climate Coup, I showed that the alarm over California warming was rather odd, as most of the changes had taken place thirty years previously. That was then, and this is now. But what about history? Several things stand out. There’s obviously no warming through 2011 (when Climate Coup was published). But the pop between 2013 and 2014 is pretty gosh-darned impressive, no? Fast-backward to 1934. J.B. Kincer had just published the first systematic temperature analysis from locations around the planet, in the 1933 Monthly Weather Review paper titled “Is our Climate Changing”. 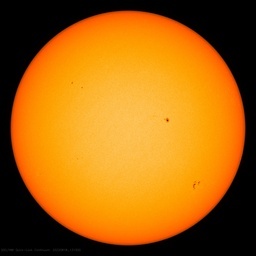 The paper clearly demonstrated global warming, and people were starting to talk about the influence of increasing atmospheric carbon dioxide on surface temperature. The only thing that was different back then is that we didn’t have computers to simulate what should have been happening. But if we did, I suspect that Darryl Fears’ progenitors would have written a pretty similar story. Why? Take a look at the 38-year period (the same length as in the above figure) 1896-1934. What’s different here? Nothing. Also worth noting is the difference in mean temperature between the two periods, providing very strong evidence for the step-change in California temperature that occurred the Great Pacific Climate Shift in 1976. Armed with a computer model in 1935, one could probably have written the exact same story 80 years ago, prompted by the very similar outlier temperatures of 1934 and 2014. March 3, 2015 in Climate News. Might have something to do with having a population of 37 million. No need to point out which one is the official station. Do you have a transportable data file for this stuff? It looks very interesting. What I like to work with are monthly averages, so any pointer would be gratefully received. Go to “climate at a glance” at NCDC and you should be able to work your way through it. Pretty easy site. Majormike1: THIS!! I just don’t understand why this isn’t discussed more. I hope that someone, somewhere, has the complete temperature record before the manipulation of data had started. THIS is 1984 leaping from a book of fiction into our lives. Bevan, could you please show us that graph BEFORE the data was subjected to the homogenization? I think that would provide us a much more accurate assessment of what is occurring. Investigate Soon?!?! The continued adjustment of the temperature record is nothing short of criminal, and this is what should be the focus of any investigation. 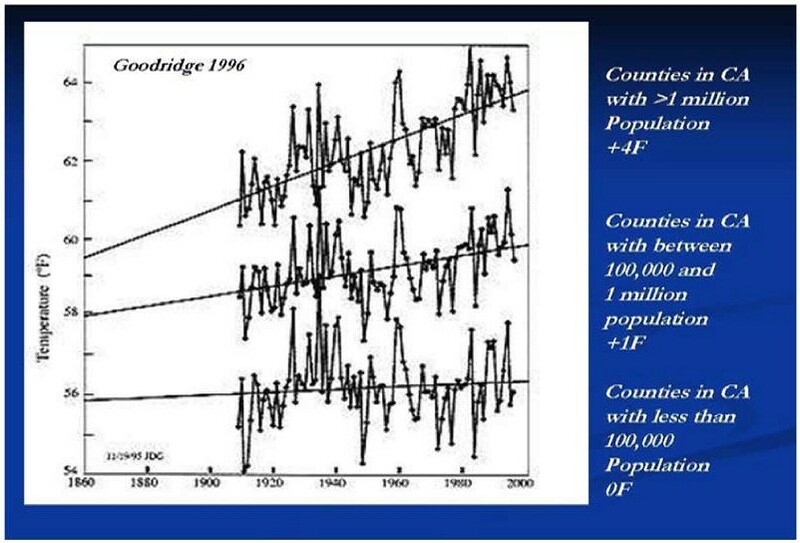 Bevan – Surface temperature homogenization cools the past, warms the present, and then you say adding the ocean surface temperatures will moderate its exaggeration. But just think of how much more moderate the whole process would be if raw temperature records were used, and then the Urban Heat Island effect was removed, instead of being used as a basis for increasing rural temperatures.Global temperature records are dominated by urban observations, since most weather stations are in urban areas. The vast in-betweens – the oceans, the poles, the southern hemisphere – are sparsely observed, even in densely populated southern hemisphere countries. An observation is not credible if it is the result of being massaged without transparency to arrive at a trend not in agreement with the raw observations. It is fitting that the prowess of CO2 to regulate climate change only came on the scene after millions of years of greater periods of climate change, that moved independently of atmospheric CO2 levels. Without the assist from homogenization, more warming occurred in the natural temperature rebound from the Little Ice Age (1300-1850AD) prior to 1950 than after. Over half the years after 1950 featured either cooling or no warming, in particular the past 20 years where by far the most CO2 discharged by humans entered the atmosphere. And global temperature yawned. And sea level fell on the West Coast since 1997. If not for El Ninos (not AGW related), we would be talking again about global cooling a la 1970’s instead of warming. Bevan, there is a lot less than meets the eye in your links. The unhomogenized temperature record for the U.S. land mass is a lot less Hockey Stick shaped than the adjusted, and homogenized version. That fact is grudgingly acknowledged by the AGW crowd, but they then immediately point out that the U.S. is just 2% of the global surface. Therefore, they argue, we should “homogenize” the U.S. record using the ocean record as a reference. The problem with this argument is that the ocean surface temperature is quite lousy compared to the land record. Lots of missing data, interpolated data, defective data, sparse data. Yet they’re using the bad ocean record to “improve” the good land record, which SURPRISE, gives the land record more of a Hockey Stick shape, as you acknowledge. This of course is quite apart from the amazingly suspicious, perfect Hockey Stick shaped Time of Observation adjustments, plus the Urban Heat Island adjustments which ought to give a negative Hockey Stick adjustment but which instead amount to just about zero in the global record adjustment. Forgot to include the reference for the graphs above. This is Hansen’s take, before he finished “adjusting” the record. You’ve shown graphs of US vs global temperature. Not the same. >>>Therefore, they argue, we should “homogenize” the U.S. record using the ocean record as a reference. the ocean record is not used as a reference to homogenise the US record. “and look what happened!“. Well, from the graph you posted, the temperature went down for a decade, and then took another 70 years to beat the old high mark. Looks like 1*F from 1895 to 1950. That is our “Natural Warming” of .18*F/decade. And 1.25F from 1950 to 2014 of Anthro+ UHI + Natural Warming of .195*F/decade. There is no evidence that the long term natural warming stopped. So we can determine that antro warming is .015*F/Decade. 88% natural warming and 12% anthro/UHI warming, is not unexpected, and is lost in the background of normal variations in weather and climate. How much are Californians going to sacrifice to prevent 0.15*F per CENTURY?? I can predict they will sacrifice, much more than I would be willing to. My estimates were ruler on the screen, and I was tired. I should have taken the time to get it right. This is from the noaa charts. From 1895 to 1950 warming is 0.2*F/Decade. From 1950 to 2014 it is 0.3*F/Decade. So we are getting 0.1*F /Decade of anthro/UHI to worry about. It won’t keep me up at night, any time soon. You are showing a graph of California, are we changing the term from “Global Warming” to “California Warming”? Ok since we are no longer interested in global warming which is good since we don’t have good temperature records from the entire globe. Instead we take temperatures from selected areas and then pretend the areas not selected are the same. So sticking with California, it oscillated warm and cool from 1890 to 1985, but was fairly consistent and then shows a period of extended warmth starting in 1985. Ok so I looked at what happened in California. I suspect that problem is that nobody thinks that the temperature record is perfect. Its just that the homogenised is much less than perfect. Previous effort a few years ago. The previous effort showed that the warming trend was all pre-SUV which is not scary enough. Next thing you know, its all fixed. Which shows it’s not CO2 surely? What’s wrong here? The linear trend. The CO2-did-it assumption does not justify a linear trend. The same appears even better in the sea level rise graphs which are very very linear. Too linear. California is one big state with many micro climates. Just take a ferry ride from the San Francisco ferry terminal to Sausalito. You can go from 70F to 55F to 80F in a very short while. Plus a wind shift can change the coastal areas by 30F and when the Santa Ana’s pick up, downslope heating can be substantial. Couple that with Rob Dawg’s point and just what are the real averages? To your point, I lived out by Ocean Beach in San Francisco for years, and sometimes during ‘Indian Summer’ the boundary between the warm inland air and cool marine air would be so sharply defined that there would be a 25F drop over a few blocks (out in the Avenues). It was truly remarkable. It’s pretty simple. Just think of the average direction that humans are collectively facing over the course of a month or the average color of your television while you watch an hour long program. ‘Average’ has been defined as that value – not quickly refuted – that leads to the greatest grant input. That might be non-adjacent to Mean, Mode and Median – but – ahhh, so be it. What’s your definition of ‘science’? It’s nice to see from the above that I’m not the only one who thinks “average temperature” is an absurdity. Yet it is bandied about as if it means something — as if simply using the phrase suddenly makes the concept exist. California has been having a warmish winter and a dry one. One important point that often goes unremarked is that dry and damp, warm and cool are four conditions that define a 2X2 contingency box. There is ample data on [barely] paleoclimate shifts between 2,000 and about 800 years ago that demonstrate that the pairs “warm and dry” and “cool and damp” are not the only way the pattern shakes out. During the Medieval drought (Warm Period in other places) the first part seems to have been marked by a cool, dry period, punctuated by a much wetter – normal appearing to modern eyes – period that was followed by a warmer, dryer period. Much of the newer data derives from solar power studies done in the Mojave Desert. You can expect that numerous publications using this data will be appearing (or rejected for publication) in the next few years. A good source for references to primary climate data for California and the greater southwest is Prehistoric California: archaeology and the myth of paradise. One of the grimmer points made is that those two Medieval droughts each lasted at least a century each. This reflected in directly datable trees that rooted on exposed, dry lacustrine shorelines and then drowned when the droughts ended. Archaerologically it is also notable that human populations in the Sierra crashed. Earlier speculation was that the mountains had been abandoned. More detailed evidence showed that populations had been severely reduced. Unfortunately Gov. Brown seems to be happy to ignore this and pushes on with his delta tunnel idea. It’s a great point. During the time since Europeans arrived in California, we have not experienced some of the truly catastrophic conditions that are actually possible. Not if but when it happens again, it is going to get ugly. Hockey sticks are difficult to find in nature, we live in a pretty stable planet at pretty stable time. No warranties though. But since the runaway temp is during the drought, could it be just the opposite cause and effect? It’s a two-way street, but the heat-causes-drought side of the street operates more in temperate rather than Mediterranean climates like California. In, say, the Midwest, heat usually means a strong jet stream ridge which suppresses convection which makes it drier which makes it hotter which makes it drier etc…. In California the rainy season is the cool season so this effect is minimized. California has undergone periodic drought since settlers kept records. Circa 1960 and circa 1990 cover the two most recent notable multi year stretches. Nothing is changing there. What HAS changed is that since 1970, California’s population increaed 87% while its water storage capacity only increased 26%. A self inflicted wound. There has also been a substantial growth in agriculture over that same time period. If I remember right agriculture uses around 85% of total water usage. 10 years of USCRN station temps for California show no warming trend. Plotting monthly averaged data for USCRN data are not difficult. 2014 might have been a slightly warmer year at two of the seven stations. One warm year does not make a trend. My family has lived and been born in California since the Gold Rush. I no longer live there. I find all the whining there by the army of newcomers 99% of whom have been there less than three generations, to be amusing and pathetic. I remember the dry 1955-1960 time. At one point we lived in Death Valley and when I was a child, I had to stand so the sun was at my back so my shadow would cover my feet so my toes wouldn’t burn through the cotton sneaker tops! It was so hot and dry, we prayed for rain in the church and one Sunday it rained and we children ran outside screaming. My littlest brother thought this was the end of the world. This latest 3 year drought was nothing compared to previous droughts. And it is already over. The reservoirs are low mainly due to the gigantic population draining them. One of my favorites! It nails the alarmist cult. They always see the glass as half empty — never as half full. Thanks, Peter. added this to my favorites. Hi from Oz. Well done, PP, trust an Aussie to nail it. We have (or used to have) a very low tolerance for bull$hit. …please do not forget the smelt fish that must have the reservoirs drained for. (Really) Rud’s “self inflicted wound” is correct. If the Arab world can afford desalination, and California can afford a bullet train. then San Diego, Orange County. LA, Santa Barbra, Eureka, and San Francisco can afford desalination as well. Currently they are planning on cutting off most of the central valley this summer. Not only will food prices sky rocket but the water table will be badly affected, not just because of more well pumping, but because 500 miles of irrigation (open to the ground) which helped stabilize the water table in the 80s, will not be leaching into the water table. If most of the “evil” dams had not been built, most of the rivers would run completely dry in such a drought as is happening now. Considering the huge amount of urban development, housing and industrial complexes, highways and vehicle ownership in California during past century, and the level of UHI that inevitably has been introduced by all of this, the observed trend most likely masks an actual cooling trend. It would be educational to do a similar analysis based only on the California stations that have remained rural during this period. If ever anywhere might have suffered from UHI it is California. Tony, fyi, I think China has about the same population density as California. Consider the huge amount of water wasted by State and Federal agencies on behalf of “endangered” species from reservoirs and aqueducts originally sold to taxpayers as water supply for urban centers and agriculture. Among the issues here is there is no sensible assessment (and hasn’t been for years) about best end use of water supplies. California was at one time one of the largest producers of rice in the world and if that isn’t water intensive agriculture I don’t know what is. Having grown up in California when San Jose was a quaint little town and the county fair was the biggest event of the year I have to say that drought followed by flood is nothing new It’s the reason all those reservoirs were built to save water for the lean times and support aquifers when the rain wasn’t there. All the talk about climate in California is disingenuous without addressing how The Corps of Engineers and EPA enforcement of an environmentalist agenda has made sensible allocation of water all but impossible. Do a test to see if it is statistically significant. Looks like it doesn’t meet the criterion just from eyeballs. but heat does not cause drought. I would like have more recent example of a scientific paper, please. Data are fun. I went to the US Historical Climatological Network web page and pulled the data for Cedarville, CA, from 1895 to 2013. Cedarville, according to Wikipedia, ” experiences warm (but not hot) and dry summers, with no average monthly temperatures above 71.6 °F. According to the Köppen Climate Classification system, Cedarville has a warm-summer Mediterranean climate, abbreviated “Csb” on climate maps.” It sits at 4652′ above sea level and its current population is 514 souls. It was founded in 1864 as a stopping place for wagon trains. By 1880 it had a population of 220. Hasn’t grown a whole lot since then. I plotted the TMEAN(RAW) values, averaged by year, for the entire series. There were six holes in the data, which I filled with the average of the two values on either side, and with a smooth line where there were three in a row. Six out of 126 records isn’t too bad, I don’t think. The results are about what you’d expect for untouched, unhomogenized, non-waterboarded raw data: no warming at all. The trend over the entire period is flat, starting at 49.9F in 1895 and ending the same in 2013. I jumped across the country to Coshocton, OH, the county seat of Coshocton County, population 11, 216 in the 2010 census. Their data goes from 1916 to 2010, with a similar number of holes I filled in the same way. The trend line for the 94-year series is negative, decreasing from 52.2F to 51F. So where *is* the warming? It’s interesting that picking two random places in very rural USA show no warming, and even cooling over their histories. Only in the “adjusted” data sets do we seem to see this rapid increase. I would be interested in seeing the average winter temperature records for Cedarville, because the increased usage of irrigation in Surprise Valley during crop season could possibly lower the average summertime temperatures. During the ’30’s, irrigation was not as widespread as it is today. For comparison with the annual average for California, here’s Cedarville’s temperature plot. A remarkable plot . I notice that it states that it is “raw data” . There is no increasing trend with time , and the positive anomalies are from the 1930s. Does this source hold raw data on all US weather stations – so that one could check out , for example, the suggestion made above that the UHI effect may have distorted the annual mean results for California., ie run comparisons of different stations , rural v urban and see if any difference. Cal temp based on just 4 records. Then I suppose the rest are homogenised to match. What would be really useful is the capability to look at satellite data over defined regions. This would help uncover the real signal. All it would take is the ability to extract the data within specified coordinates and then graph them over time. Would be a great addition to woodfortrees. The recent years seems to me to be likely linked to the polar vortex, which rolls EAST of California, causing much colder temperature for states east. Interesting remark! Where do you apply the arcsine transform? I think that it is intended to be used in an effort to normalise distributions, (expressed as a fraction in the range 0 to 1) where most of the variability is associated with the ends of the distribution. I have it as an option in my stats package – the result of industrial experience – but have never thought of using it in climate analyses. The article is a good demonstration of climate change for California – the warming trend is clear. Is the warming spike unusual? Perhaps not if the article is claiming the 1934 and 2014 spikes are caused by the same thing, probably drought in this case. But the spike in 2014 is almost 1C above the level obtained by the spike in 1934 ie you can argue the climate change has made the 2014 spike much worse. If you have a gradual natural warming from the LIA, then you would expect spikes to be higher as that warming continues. And why should you assume that the 1934 spike was the “highest” natural variation could supply? The fact is that the climate has shown similar variation in the non-CO2 dominated past to the variation it shows now, int he supposedly CO2-dominated present. That is my point – a “similar” variation that is now higher due to the warming trend since the 1934 spike. “Gradual natural warming from the LIA”. An interesting theory, but not one supported by the temperature reconstructions that I have seen. If you do assume a warming trend since the LIA, an explanation is still required for why the warming trend accelerated during the 20th century. The graph is of value-added, adjusted, and homogenized “data”. The past is cooled, the present warmed. And if you read the chiefio’s post I linked, the temperature for California is just 4 stations. Smoothing would have removed the spike at 2014, wouldn’t it? You may not fully understand what “smoothing” does or is alleged to do. End points cannot be smoothed in any sensible way. You do realize that California is not the planet, right? It’s certainly not from this planet. California deserves all the temperature adjustment warming they get. So will we get a repeat in 2084? I don’t know where this site gets its data, but it has a big gap for Mt. Wilson in the 60’s and 70’s. I remember some pretty warm years back then. And this one doesn’t seem to state which are the missing years, months, etc. The weather has changed here in California. It is warmer and it is not raining. We have a 19% snow pack. Farms are shutting down since there is no water. And it is reported that the off-coast ocean temperatures are way above normal. We are having episodes of seal pups coming on shore starving. And not only that, it is warm all the way up into Alaska, not just here in California. There is pretty low snow pack readings in the Cascades. It has been colder in Louisville KY than in Anchorage. The jet stream is just not moving the way it used to – when we would have storms come in and it would rain for a few days, then clear for a few days and then back to rain. It had frequency. But this season, we had a lot of rain in Nov and Dec then it just stopped. Then it came in for a storm in Feb, then stopped. And the entire patterns is stuck – the east keeps getting that Arctic air and weather. I have been here for over 35 years and I have never seen it like this.